Check out All Trophies & Achievements available in Sekiro: Shadows Die Twice. In this article, we feature all condition and types of trophies available in Sekiro: Shadows Die Twice for PC, PS4, and Xbox One! 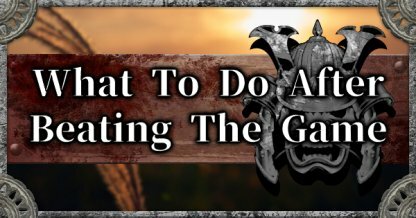 Check Out All Area Guide Walkthrough! Ultimate Healing Gourd Fully upgraded the "Healing Gourd"
Sword Saint, Isshin Ashina Defeated the "Sword Saint Isshin Ashina"
Gyoubu Masataka Oniwa Defeated "Gyoubu Masataka Oniwa"
The Phantom Lady Butterfly Defeated "Lady Butterfly"
Genichiro Ashina Defeated "Genichiro Ashina"
Guardian Ape Defeated the "Guardian Ape"
Great Shinobi - Owl Defeated "Great Shinobi - Owl"
Corrupted Monk Defeated the "Corrupted Monk"
Gracious Gift of Tears Defeated the "Divine Dragon" and obtained the "Divine Dragon's Tears"
Isshin Ashina Defeated "Isshin Ashina"
Demon of Hatred Defeated "Demon of Hatred"
Great Serpent Defeated the "Great Serpent"
Great Colored Carp Defeated the "Great Colored Carp"
Trophies are given to players who accomplish certain feats or objectives in the game. This can either be defeating a certain boss or going through a part of the story. Trophies are displayed on your profile to showcase your achievements. Trophies have different ranks - platinum, gold, silver, and bronze. The harder the achievement, the higher the rank of the trophy. Trophies are exclusive to the Playstation system. Other platforms can call their achievements a different name.